Backed by our flourishing business processes, we are able to offer flawless quality range of Ethnic range Designer Bar Counter. 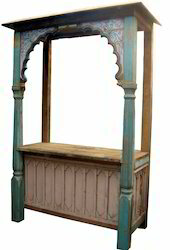 Widely used in bars and restaurants, the offered Bar counter is made out of fine carved wood pieces to provide a designer look. Further, it is examined on various parameters defined by company standards. Although it is available in customized form according to choices of our clients. Owing to the advanced techniques, we are engaged in offering Bar Counter. 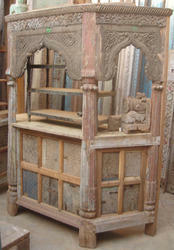 This bar counter is manufactured utilizing optimum quality fine carved wood pieces keeping in mind the set standards. Our offered bar counter is acknowledged for the sophisticated design and durability. The given bar counter is available in numerous specifications as per the requirements of customers. Banking on our years of experience, we are provided our clients a vast assortment of Bar Counter Reclaimed Wood. Unique look provided by original color on the reclaimed wood, the provided bar counter is acclaimed for its impeccable design in the market. Offered bar counter is manufactured by vendors highly skilled professionals using finest material in accordance with the set norms. 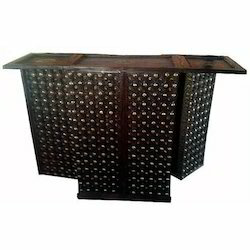 Our bar counter is available in numerous specifications as per the need of clients. 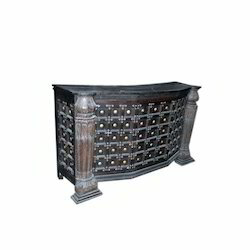 Wooden Bar Counter is manufactured using finest quality raw material in tune with industry defined standards. 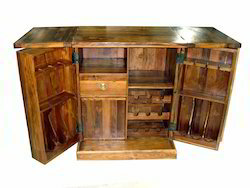 By fixing wheels Wooden Bar counter can be made Portable bar counter. Offered counter is structurally perfect designed, thus widely acknowledged by our clients. Also, we check it on various quality parameters to ensure quality & permanency. Besides, our offered range is available at nominal prices. Bar Counter Fitted that is manufactured using finest quality raw material in tune with industry defined standards. By fixing wheels Bar counter can be made Portable bar counter. Offered counter is structurally perfect designed, thus widely acknowledged by our clients. Also, we check it on various quality parameters to ensure quality & permanency. Besides, our offered range is available at nominal prices. 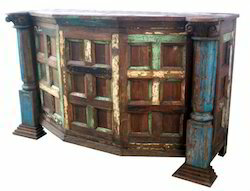 Backed by our flourishing business processes, we are able to offer flawless quality range of Repurposed Bar Counter. Widely used in bars and restaurants, the offered Bar counter is made out of fine carved wood pieces to provide a designer look. Further, it is examined on various parameters defined by company standards. Although it is available in customized form according to choices of our clients. Looking for Bar Counter ?